Michael Spencer - Mechanical Power Inc.
Michael started working at MPI assembling bearings in the our warehouse and within 6 months was moved to the Quality Department inspecting standard and custom inventory. Following his experience in Quality he moved to an Account Management role with direct communication with our customers and their needs when an opportunity arouse to join our Distribution Sales Team. He now in the lead contact for our Distribution Sales Department and works in tandem with our Purchasing Department as well. 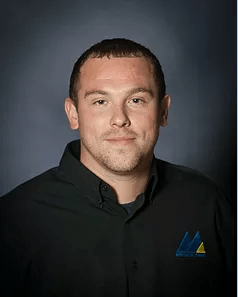 Michael has been with Mechanical Power for 5 years and likes working here because of the family atmosphere and the friends he has made in addition to the educational opportunities he has been given to improve his knowledge and performance. “Unlike many suppliers today, we at MPI recognize the need for customer service above and beyond our competitors. we treat our customers like family by listening to their concerns and needs and understanding their business better than anyone else”. Michael lives in Wonder lake with his girlfriend Amanda and his 8 year old son Christian. He has spent lots of free time working to improve his first home and can proudly say it is at a place where he and his family can enjoy the fruits of his labor.